Going green has become easier to achieve for many homeowners. From recycled materials to cleaner fuels, today’s hearth-related products help consumers feel better about leaving behind a smaller carbon footprint. 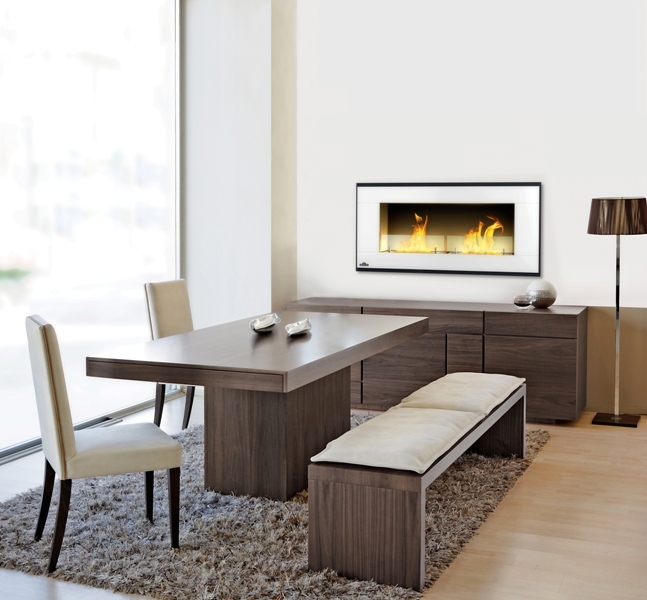 Ethanol and gel fireplaces are a great alternative to wood, gas or coal fireplaces. They don’t require venting and they have long burn times due to their ability to store a large supply of fuel. They also are available in a variety of fun, contemporary designs and are well suited for tight spaces in smaller homes and condos. Customers also like the fact that many of these products are portable. The Outdoor GreatRoom Company’s Sapphire (a smaller version of the company’s popular Inspiration fireplace) is the most portable, easy-to-hang fireplace on the market today. 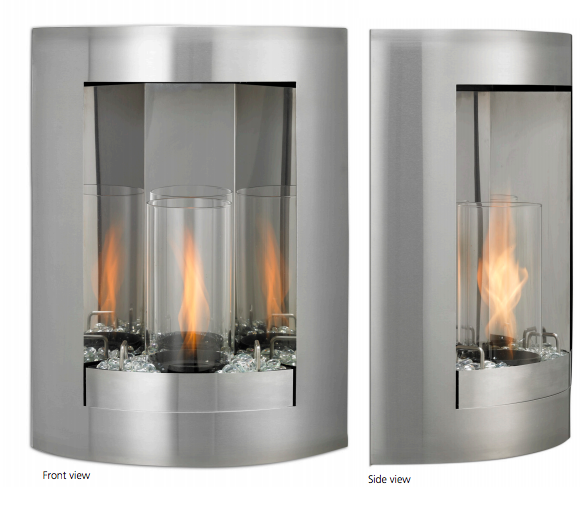 This wall-mounted fireplace runs on clean burning gel fuel and looks stunning on any wall of a home – indoors or out. Napoleon’s new Ethanol Fireplace Collection consists of four models – Linear, Convex, Square and Corner. The Linear, Convex and Square models feature easy to fuel, built-in linear burners that provide a luxurious flame pattern. The Corner model features three burner pots that have a large fuel capacity for an extended burn time. All models are easy to light, are environmentally friendly, are CSA approved and produce a warm, radiating heat with plenty of fire elegance.